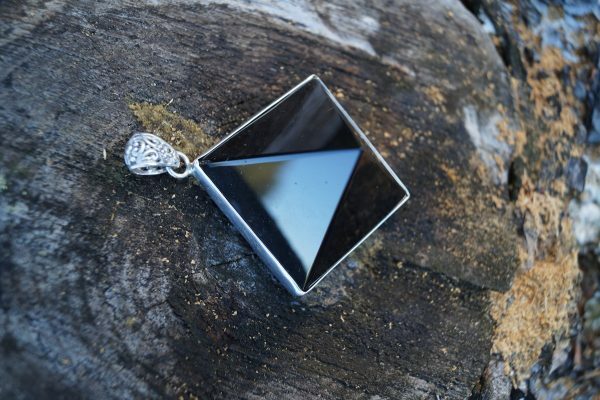 A beautiful handcrafted Sterling Silver and crystal pendant bringing strong galactic energy and divine light through for the highest good of humanity. 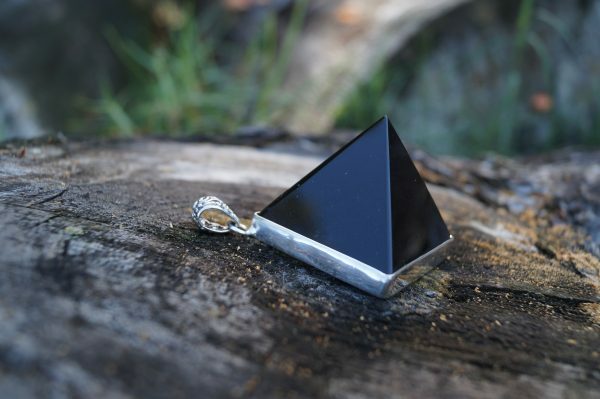 This powerful Black Obsidian Pendant is handcrafted in Sterling Silver and set to highlight the stunning natural beauty of the Black Obsidian crystal. 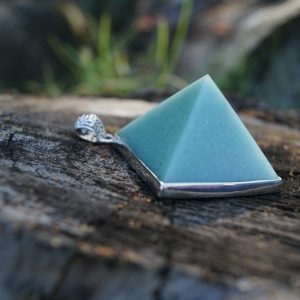 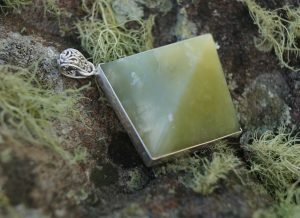 The back of the pendant has been left open to allow the natural healing energy of the crystal to flow through to the wearer. 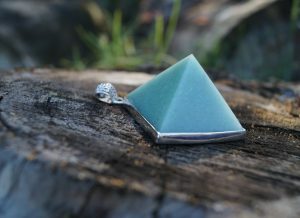 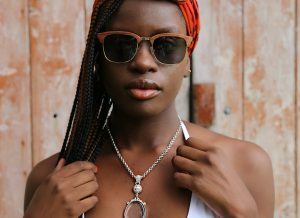 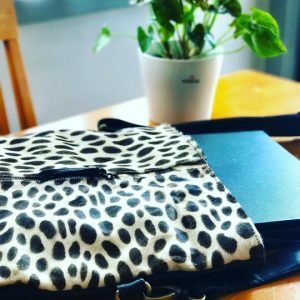 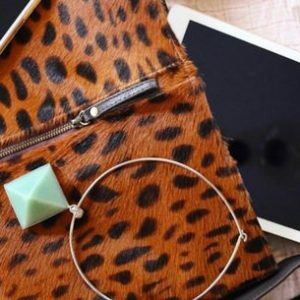 This stunning pendant is perfect for all occasions and as a piece of art jewellery it’s a true statement piece that will always be in fashion. 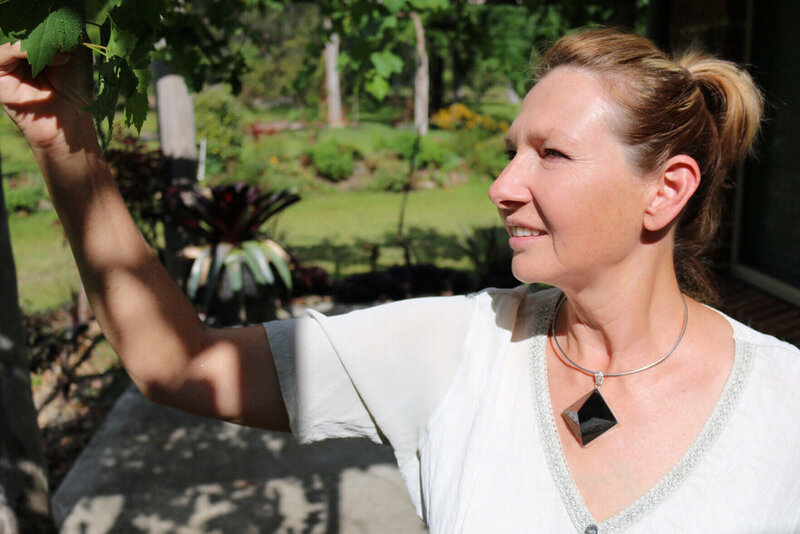 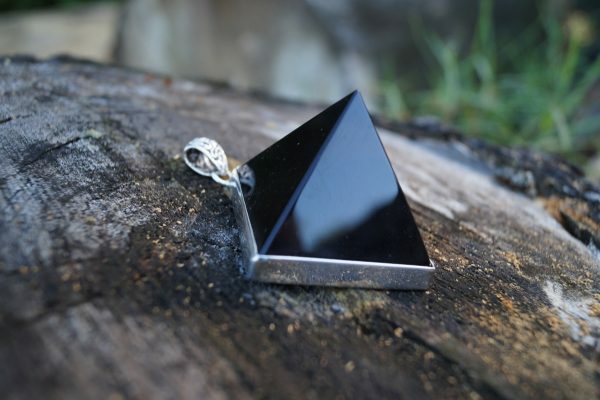 No two crystals or pendants are the same, so you’ll love the uniqueness of this Black Obsidian Pyramid Pendant for years to come. 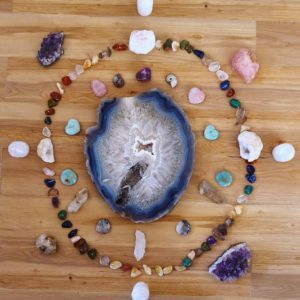 This stone powerfully eliminates negative energies in one’s environment and oneself including resentment, anger, fear, greed, auric field disharmony and negative attachments. 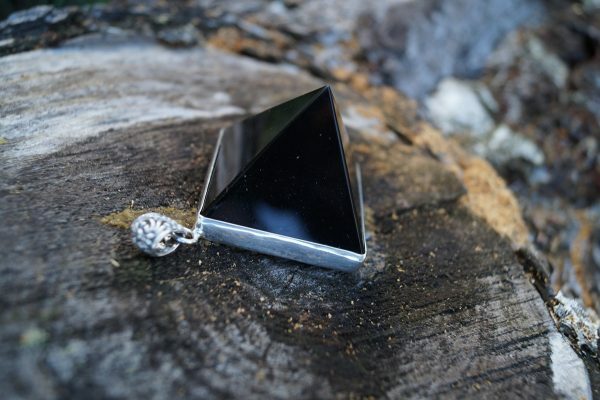 As a grounding stone Black Obsidian stimulates the Base Chakra to connect with the Earthstar Chakra and the core of the Earth. 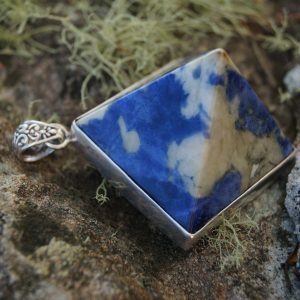 A powerful spiritual protector that facilitates psychic cleansing. 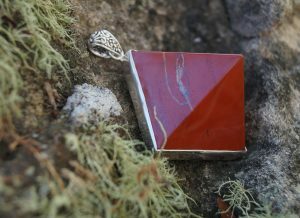 Cubic – grounding stones that encourage structure and stability.